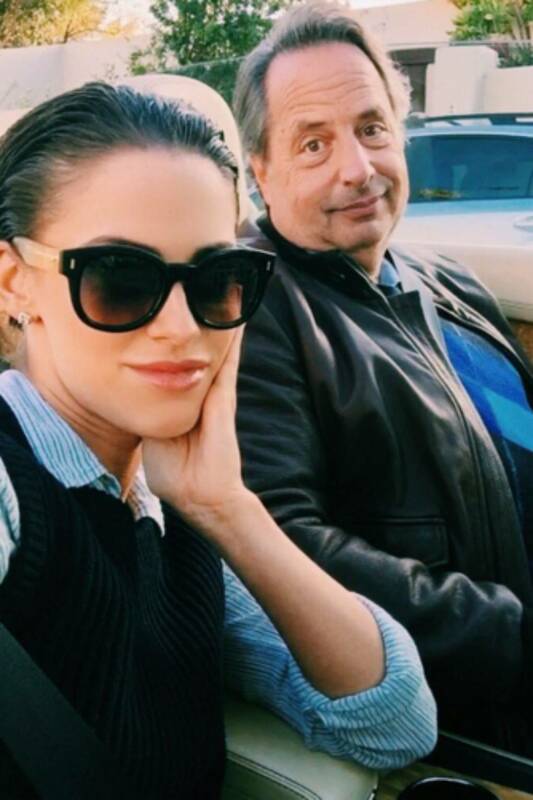 1 Who is Jessica Lowndes? Jessica Suzanne Lowndes was born on the 8th November 1988 in Vancouver, British Columbia, Canada, and is an actress, probably best recognized from starring in the role of Adrianna Tate-Duncan in the CW’s hit drama series “90210” (2008-2013), playing Bridgette Gibson in the TV film “A Deadly Adoption” (2015) and as Julia Talben in the film “Abattoir” (2016). She is also known for being a pop singer and songwriter. When it comes to speak about her early life, Jessica spent her childhood in Vancouver, where she was raised by her parents, Dan and Suzanne Lowndes. Her mother was a piano teacher, so under the influence of her mother, Jessica learned to play the piano as well as the guitar, and her interests in singing and acting were developed. At the same time, she began writing her own music. Regarding her education, she went to Pacific Academy, a private Christian school located in Surrey, British Columbia. Later, while in high school, she started performing in school productions, but parallel with that, she also worked on her own music projects. At the age of 16, she released an EP and caught the attention of the producers of Showtime’s series “Masters Of Horror”, after which she was encouraged to leave high school and move to Los Angeles, California to pursue her dream job in the entertainment industry. Jessica’s professional acting career started in 2005, when she landed a small role in Showtime’s series “Master Of Horror”, which was followed in the same year by her portrayal of Andrea Kondracke in the TV film “Saving Milly”. In the following year, she guest-starred in such TV series as “Alice, I Think” and “Kyle XY”, and was cast as Lisa in another TV film entitled “To Have And To Hold”, all of which marked an increase of her wealth. That time @mattlanter and I recreated iconic photographs of Queen Elizabeth and Prince Philip in London! ???????? In 2008, she landed the role of Cassie Booth in the TV film “Pretty/Handsome”, appeared as Emily in the film “Autopsy”, and played Laurel in the film “The Haunting Of Molly Hartley”, which was followed by her portrayal of Mandi in the TV series “Greek”. Moreover, Jessica’s breakthrough came in the same year, when she was chosen to portray Adrianna Tate-Duncan in the CW’s hit drama series “90210”, which aired until 2013 and enormously increased not only her popularity, but also her net worth. By the end of the decade, she was also cast as Sara in the 2010 film “Altitude”, directed by Kaare Andrews. Jessica’s first major role in the next decade came in 2012, when she featured as Tamara in the film entitled “The Devil’s Carnival”, which was followed by her appearances in the TV film “A Mother’s Nightmare” as Vanessa Redlynn, which she reprised in its sequel “A Father’s Nightmare” (2018). When the filming of “90210” was ended, Jessica starred in the role of Angela in the 2014 film “The Prince”, along with John Cusack and Bruce Willis. Furthermore, she also featured as Elena in the film “Eden” (2014), played Suzanne in the 2015 film “Larry Gaye: Renegade Male Flight Attendant”, and appeared as Bridgette Gibson in the TV film entitled “A Deadly Adoption”, starring alongside Kristen Wiig and Will Ferrell. All of these appearances added a considerable amount to her fortune. Had so much fun last night at @hallmarkchannel’s #tca18 summer event ??? To speak further about her acting career, Jessica was chosen to play Julia Talben in the film “Abattoir” (2016), directed by Darren Lynn Bousman, which was followed by her appearance in the role of Layla O’Reilly in the TV film “A December Bride”, the same year. During the next year, she starred as Marie in another TV film entitled “Magical Christmas Ornaments”, and most recently was cast as Nicole in the film “Yes I Do” (2018). She is currently involved in the TV film “Night Before Christmas”, which will certainly increase her net worth. As already mentioned, Jessica became interested in music as a little girl, so apart from acting, she also became involved in the music industry, as both a pop singer and songwriter. While she was filming “90210”, Jessica sang such songs as “Stamp Of Love”, “Goodbye” and “Haven’t Been Drinkin”, among many others. In 2010, she collaborated with British rapper Ironik on his single “Falling In Love”, then featured on Jérémy Amelin’s single “Undone” (2011). In the following year out came her debut EP “Nothing Like This”, with such singles as “Go Back” and “I Wish I Was Gay”. Jessica released her second EP in 2013, entitled “TBT (Throwback Thursday)” with the hit single “Fly Away”. Afterwards, she released three more singles – “Silicone In Stereo” (2014), “Déjà vu” (2015) and “Underneath The Mask” (2016) – to moderate success, and all of which increased further her net worth. Her career started in 2005 and she has been an active member of the entertainment industry ever since. So, if you ever wondered how rich Jessica Lowndes is, it has been estimated by authoritative sources that the total size of her net worth is over $6 million, accumulated through her successful career as a professional actress, with another source coming from her involvement in the music industry. Regarding her personal life, Jessica Lowndes has been in many relationships with popular men. In 2008, she started dating actor Adam Gregory and they remained in the relationship for a year, after which she had an affair with another actor, Aaron Paul, between 2009 and 2010. When they broke up, she dated skiing champion Jeremy Bloom (2012-2013), and later was in a relationship with former international rugby player Thom Evans in 2013. Her current residence is in Beverly Hills, California. Jessica is still officially single, but in 2015, Jessica posted several photos on her official social media sites with actor and comedian Jon Lovitz, showing that the two are dating. Moreover, she posted a photo of her engagement ring, later stating that she found it on Google. It would be so rather surprising, as he is almost 30 years older than her, however, both of them confirmed that it was only a prank to promote the music video of her new song “Déjà vu”, in which Jon starred. Speaking about her appearance, Jessica is apparently a beautiful young woman as she was named one of World’s Most Beautiful People of 2009 by People magazine, and was ranked No. 58 on the TV’s 100 Sexiest Women of 2011 by Buddy TV. She has long wavy dark brown hair and green colored eyes. She has an amazing body with the height of 5ft 4ins (1.63m) and her weight is reputed to be around 115lbs (52kgs), while her vital statistics are 35-24-34. In addition to her involvement in the entertainment industry as a professional actress and singer, Jessica Lowndes is also an active member across many of the most popular social media sites, which she uses to promote her projects. She runs her official Instagram account, having almost 750,000 followers, as well as her official Twitter account, on which she has more than 230,000 followers. She has also launched her own website.